Today, I was making bottles for my 10-month-old and discovered to my horror that we didn't have any more cans of formula. First of all, you're probably thinking, why is this "green mama" not breast-feeding (with indignation!)? Well, I did until at 8 months, I just couldn't do it anymore. I was happy to have made it that far and really enjoyed the bonding. 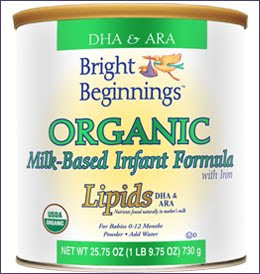 As you would expect, I researched formula ad nauseum and finally settled on Bright Beginnings Organic Milk-Based Infant Formula. I think I've written about this before. It's made by PBM, which also makes formula for WalMart called Parent's Choice (in standard milk, soy and organic milk variations, among others). I really only know all this because today I had to choose something other than Bright Beginnings, which is not carried anywhere local. Argh. I always order it a case at a time online at Diapers.com. Not that a case is any cheaper than six individual cans. But I digress. Anyway, in my panic to come up with a suitable alternative for a couple of days until the case arrives, I turned to Google. I discovered that Parent's Choice Organic Formula and the Vermont Organics Formula are very similar to Bright Beginnings and the website said you could get it at WalMart. I headed out in a hurry. Of course, they did not have any Organic variety of PBM formula. They did have Similac Organic, but I've read many posts suggesting that this is very sweet and that it's not well tolerated--did I want to risk it? I stood at the shelves for probably 15 minutes, reading labels and looking at the prices. Do you know that non-organic formula is only $11 a can at WalMart? I'm paying $24 and change, same as the Similac Organic. In this day and age, can you blame families for forgoing organics, when the surcharge is more than double? This is a budget item that in one month, for one baby, is about $55 versus $150? RIDICULOUS. If WalMart at least carried the organic variety in their store, there would be something moderately priced for budget-minded people to consider! Somebody write a memo. Anyway, I ended up getting Parent's Choice Immune Support, as a one-time backup for $13. Hopefully, it won't make him gassy or miserable or anything. 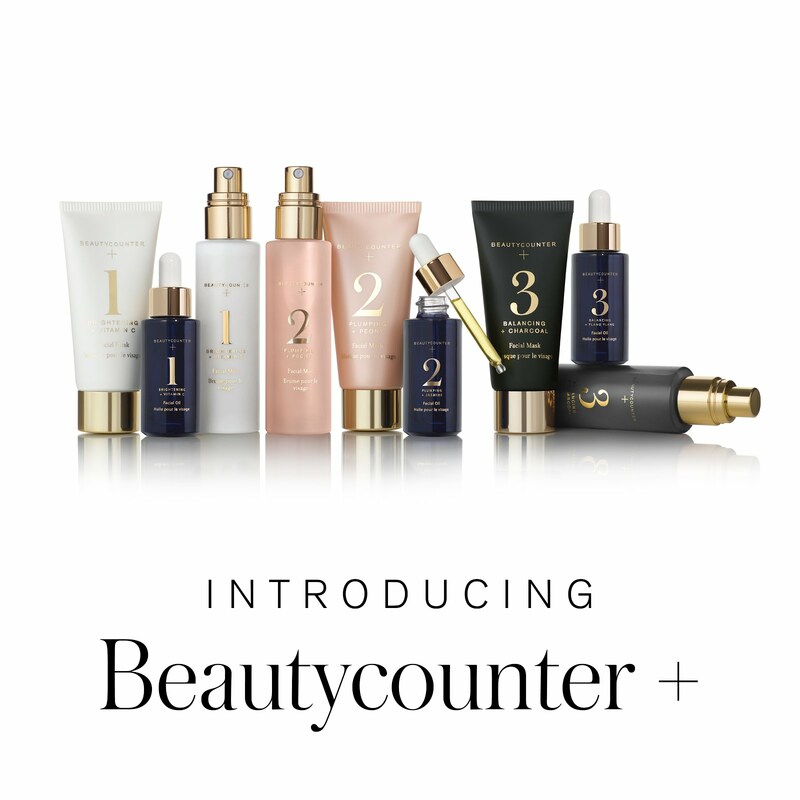 The Bright Beginnings ordered online today (a Sunday) will be here on Tuesday with free shipping. I think we can make it. In fact, baby was none the wiser with the temporary switch. Makes me think a little. 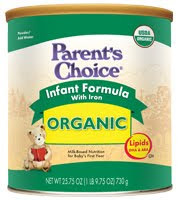 If the organic version of Parents Choice was available, it would definitely be cheaper and I would use it.